WordPress 3.0 has something very handy that I want theme authors to start implementing as soon as possible. To show exactly why it’s so useful, I modified my own theme to start using it. Now then, that’s much better, isn’t it? The comment_form function is new to 3.0. Basically, it standardizes the comments form. It makes it wonderful for us plugin authors, since now we can easily modify the comments form with various hooks and things. I’ve already modified Simple Facebook Connect and Simple Twitter Connect to support this new approach; if you’re using a theme with this, then the user won’t have to modify it to have their buttons appear on the comments form. Since theme authors love to customize things, the comments form is also extremely customizable. Doing it, however, can be slightly confusing. Inside the comments_form function, we find some useful hooks to let us change things around. All the various pieces of html that are displayed as part of the comment form section are defined here. So those can be modified as you see fit. However, unlike the fields, adding new bits here won’t help us at all. The fields get looped through for displaying them, these are just settings that get used at various times. This gives us a simple and easy way to make changes without all the trouble of filters. Nevertheless, those filters can be very useful for more complex operations. As the comments form is being created, there’s a ton of action hooks being called, at every stage. So if you want to insert something into the form itself, there’s easy ways to do it. A quick list of the action hooks. Most of them are self-explanatory. Let’s not forget styling. All parts of the comments form have nice classes and id’s and such. Take a look at the resulting HTML source and you’ll find all the styling capabilities you like. Also, everything is properly semantic, using label tags and aria-required and so forth. All the text is run through the translation system for core translations. So theme authors should start modifying their themes to use this instead of the existing big-ugly-comment-form code. Your users will thank you for it. Plugin authors will thank you for it. And really, it’s about time we made WordPress themes more about design and less about the nuts and bolts of the programming, no? Note: A lot of people seem to miss this key bit: Enhanced Comments are optional and default to off, even after you make these changes. You have to go to the Settings->Discussion panel to turn the features on. Note that this article will explain some of the changes needed to make themes capable of supporting the new comments functions, however there’s no substitute for the real thing. Install a local copy of WordPress trunk on your home machine (possibly using XAMPP) and test it there. Also note that this is all based on the current state of WordPress trunk, and is subject to change before WordPress 2.7 is released. However, it’s probably not going to change all that much at this point. 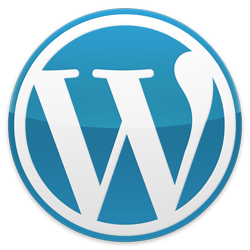 While you could check for the version number of WordPress, this method is better because it simply looks for the actual function you’re going to use anyway. Never make assumptions based on version number. Adding this code to a theme’s functions.php file will make the theme use the “legacy.comments.php” for older non-2.7 installations. That way, you can simply rename your old comments.php and then make a new one based on the new functionality. Clever. Basically, it went through the comments manually and output all the necessary pieces. Easy, but very manual. This also had the problem of being very inconsistent and hard to manage for your theme’s users, especially if you heavily customized it. That new one is, in fact, a complete comments loop. No simplification at all. Unless you want something displayed for “no comments” or “comments closed”, of course. I don’t have anything showing there. The have_comments() function replaces the check on the global $comments variable. 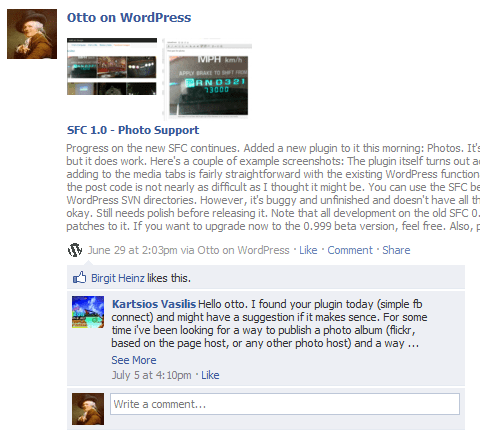 The wp_list_comments() function now outputs all the comments. It does threading, the classes, everything new. There’s a new navigation section to do comment paging. That’s pretty much it for making the AJAX work. With this, the new features on the Settings->Discussion panel will work. Obviously, you can modify this somewhat as needed for your theme, these are just general principles that you’ll need to use. comment, trackback, pingback classes get added depending on the type of the comment. byuser gets added if the comment is by a registered user of the site. comment-author-authorname gets added for specific registered users. bypostauthor gets added if the comment is by the author of the post the comment is attached to. depth-1 is added to the top level comments, depth-2 to the next level, and so on. What’s more, a comment_class filter is provided to allow you to add your own classes. Here’s an example of that. This example function adds a microid to every comment with the microid for the comment authors given URL and email address. This sort of thing could be done in a plugin or a theme’s functions.php file, whatever. Simple and effective. It just adds the class to the given array of classes and lets the comment display functions take care of the rest. And there you have it. It’s not hard to support the new functions. And if you need to customize your theme’s comments section even more, wp_list_comments() supports a number of parameters. Most of this is not documented yet, because WordPress 2.7 is not out until November. However, the code is relatively straightforward, and anybody with a good understanding of WordPress should be able to work it out. Additional: A lot of people keep asking me for a full-fledged example. Really, I recommend that you examine the comments.php file in the default theme in the 2.7 beta versions. However, the actual comments.php file I’m using on this site can be found here: http://ottodestruct.com/comments.phps, if it helps you any. It has the code I’ve described in this article, pretty much verbatim. The only additions to it are a couple of extra options on the wp_list_comments() call, such as avatar_size and reply_text.